Are you looking for the best photo printers for home/home office usage? Your Search For the Best Photo Printers Ends Here! If these printers are out of your budget range, we recommend you check our post on the best portable photo printers. Our top choice among the best photo printers is the Canon imagePROGraf PRO-1000. If you really want to splurge and get the best your money can buy go for it. It is probably an impractical choice for someone who makes an occasional print. But if you are routinely handing out prints to prospective clients and want to print large as well as skip the routine visit to the local printing lab then the Canon imagePROGraf PRO-1000 makes good sense. The Canon Pixma Pro-10 with its 10 LUCIA pigment based inks including 3 black/grey inks score the second best. Why Do You Need a Photo Printer? Photos are meant to be printed. Photos were never originally meant to be looked at virtually, on a screen. It was always a tangible form of expression, something that you can pick up and look at, close to your eyes, to the point you can actually smell it. There is something about a printed photograph that is irreplaceable. It creates a lasting impression on the mind and even inspires an individual. A virtual photograph looked at on a computer screen, with all due respects, will never evoke the same feeling. Imagine looking at a breathtaking landscape photo on your computer and then compare it to the feeling of standing in front of a 24″ x 14″print of the same picture framed and mounted on a wall. Incomparable. Printing at home was always a compromise. A compromise between quality and the amount of money that you could spend. Thankfully, modern printing technologies for home printers have evolved considerably. They now use a pigment based ink rather than the older dye-based inks. These produce more realistic results. Plus, prints produced with pigment based inks can be preserved for well over 100 years. Additionally, with multiple ink tanks for both color and black/grey, the color gamut of modern home photo printers have improved manifold. To be fair to virtual photos, storage is cheaper than printing. And you can share photos more easily and in real-time compared to sharing a printed photo. But a printed photo is more personal. It is for the recipient to keep, admire, mount and hang. The feeling is different. The EcoTank Workforce Pro WF-R4640 is an all-in-one design capable of printing not only documents but also images as well as brochures and everything in between. The system is actually an upgrade of another high volume printer the WF-4640. The unwieldy inkjet printer is one of the most value for money printers in the business. There is a huge amount of ink packed with the printer. The large balloon-like canisters on either side of the printer are actually for holding the ink tanks. The one on the left holds a large black ink bag and the one on the right holds the cyan, magenta and the yellow bags. The WF-R4640 is capable of handling a maximum print size of 8.5″ x 47.2″. Large enough for banner prints as well as handle everyday documents and photos with equal élan. The speed of the WF-R4640 is excellent. Whether you are printing images or plain documents, the WF-R4640 never falls short to amaze you. It shoots out 20 ppm when printing in black. If printing automatic duplex you would get anything around 11 ppm. The maximum print resolution of the printer is 4800 x 1200 DPI. This should ensure that you can produce lab-quality photo prints and hang them on your favorite wall. The system uses a technology known as EcoTank Cartridge-Free Ink System. The system is extremely useful as an ink-saving and therefore cost-saving technology making it one of the best photo printers in the market for everyday use. You no longer need to throw away partially used cartridges (which is the normal way of doing it with ordinary inkjet printers). The system comes with enough ink to last for up to 20,000 pages (not photos). The printer comes with a built-in Wi-Fi connection which means you will be able to print wirelessly using your laptop or compatible device. Additionally, there is an Ethernet port as well as the standard USB port for plug and print jobs. Includes enough ink to print up to 20,000 pages black/20,000 color (2) - maximize productivity. Ultra low-cost replacement ink packs - DURABrite Ultra Ink for smudge, fade and water resistant prints. Get Performance Beyond Laser - the WorkForce Pro WF-R4640 EcoTank all-in-one, powered by PrecisionCore. Print-shop quality - print documents and graphics in high resolution with precise dot placement. The Epson Expression Premium ET-7750 EcoTank All-in-One Inkjet Printer is yet another of the EcoTank varieties of Inkjet printers that Epson makes. This one too comes with a high-yield guarantee. The printer is capable of printing a maximum print size of 11.7″ x 44″. The speed of the ET-7750 is excellent. It shoots out 13 ppm when printing in black and about 10 ppm when printing in color. Of course, printing color photos or borderless large prints takes a lot more time. The resolution of the ET-7750 is a whopping 5760 x 1440 DPI making it one of the best photo printers in the business for high-quality prints at home. 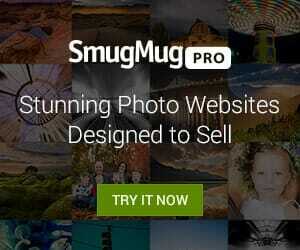 It should produce high-quality images which you can store in your photo album for years. No need to visit the printing lab again. The ink tank provided with the ET-7750 is capable of a high yield of 14,000 blacks and 9000 color pages. However, if you are going to print borderless photos only, the yield will be a lot less. There are a total of five ink tanks. The printer uses what is known as MicroPiezo inkjet technology along with the EcoTank technology that we read about in the previous printer description. Most of you would be thinking that this is a business printer and does not have anything to do in specific to photo printing. There is indeed one reason and that is the presence of the Photo Black ink. While most ‘standard’ black pigment based printers can print ok quality photos, the Photo Black pigments are what makes the ET-7750’s output stand out. So far as connectivity is concerned the ET-7750 comes with a series of connectivity options. These include the standard USB option as well as built-in Wi-Fi. The built-in Wi-Fi option allows the printer to be connected with a compatible smartphone or tablet and print remotely. You can print via your laptop as long as both the devices are on the same network. There is also an Ethernet connection which ensures that you can plug the printer to a laptop or desktop and print. Save up to 80 percent on ink with low-cost replacement bottles (4) - plus easy-to-fill, supersized ink tanks. The Canon PIXMA PRO-100 can print your photos in a very large size: 13″ x 19″ to be precise! A bordered print will take approximately 90 seconds to print. 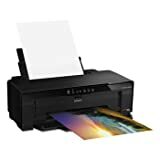 One of the quickest in the business and that also makes it one of the best photo printers in the market you can buy right now. The resolution of the printer is 4800 x 2400 DPI. Need a much smaller A4 sheet or even a legal page to be printed with a collage of your best pictures? All you need is 51 seconds. Being a Canon product has its advantages; that is if you own a Canon camera. The printer is compatible with PictBridge as well as Apple’s AirPrint technologies. Remember, the best home use photo printers are not the ones that can print big or print fast. They are the ones that give the best value for money proposition when printing photos (borderless or otherwise), has a larger color gamut, produce good resolution and reliable colors that match the digital version. With an 8-tank ink system, you have your separate CMYK inks. Three of these are black inks which produce very deep and vivid blacks. Each of them is replaceable individually. That reduces wastage as you no longer have to throw away a combo CMYBK tank just because one of the ink is exhausted. There is, however, a downside. It is the weight of the printer. The Canon PIXMA PRO-100 is not the lightest of printers around. Nor is it the most demure. It measures 27.2” x 8.5” x 15.2” and weighs 19.60 kilos. Not the ideal printer you would want to lug from one corner of your home office to the other. But, having said that the print quality is exceptional. It takes the Canon PIXMA PRO-10 3 minutes and 35 seconds to churn out an 8 x 10″ print at a resolution of 4800 x 2400 DPI. It may not be the fastest printer around. Then again you don’t quite need an Usain Bolt type printer to print an occasional 4 x 6” photo. The largest you can print is a 13 x 19″. We have always preferred the separate ink tank arrangement because it is less of a wastage that way. There are a total of 10 ink tanks in the Canon PIXMA PRO-10, 3 of which are monochrome. That means when compared to the flagship PRO-1, there are two black/gray inks less. This has some bearing on the quality of your black and white prints. The images will be less vivid and less realistic when compared to the results from a PRO-1. If black and white photos are what you would be printing more often, go for the PRO-1 or some other printer that has at least 4 black/gray ink tanks. For color prints, the difference will not be so obvious. The PIXMA PRO-10 uses Canon’s LUCIA pigment based inks. Needless to say when it comes to print longevity pigment based inks outclass dye-based inks, which have a shorter storage life. Another aspect that needs mentioning is that the PRO-10 has smaller 14ml tanks. Compare that with something like the PRO-1 which has significantly larger 36 ml tanks which last considerably more. So, you have to change the tanks less frequently. Wireless connectivity is a big issue these days in home use photo printers (as well as small office printers). No one wants to stay connected with their printer any longer. There’s no emotional attachment to that sort of bonding anymore. Thankfully, the Canon PIXMA PRO-10 has built-in Wi-Fi. Which means you can be away watering the plants while you printer prints away your favorite photos. The PRO-10 also comes with a dedicated PictBridge button. PictBridge is a feature, if you are unaware, for Canon camera users. A select few Canon cameras can directly print from the camera. This feature is rarely used because if you are investing in an expensive printer as this, wouldn’t you want to take leverage of a photo editing application to retouch your images before printing them? Just like the Canon PIXMA iP8720, we discussed before, the Canon PIXMA PRO-10 also can print CD, DVD and Blue-Ray jackets with ease. One more reason to print your favorite vacation photos. Many times we prefer to print out album CDs and DVDs at home adorned with our favorite images. With a dedicated slot for CDs/DVDs, it is very easy to do that with the PRO-10. All in all the Pixma PRO-10 scores very high and is our second best rated among the best photo printers we have listed here. With a maximum resolution of 5760 x 1440 dpi and the ability to print 13 x 19″ borderless prints in HD pigment based ink, the Epson SureColor P600 is one of the best home use photo printers in the business. It has Ultrachrome HD pigment based inks compared to the standard dye-based inks that most entry-level printers use. Furthermore, the quality and longevity of the prints are much better because of this. Individual color ink tanks ensure that less color is wasted. This is the reason the Epson SureColor P600 has nine color tanks with four different tones of black. This should produce a fantastic tonal range for your black prints. Unlike what you would get with printers that use several other colors to print a black tone and therefore produce that small specs of different colors even in the black areas. The result with the P600 is pure black (or gray as the case may be). Each individual ink cartridge contains exactly 25.9 ml of ink. While this is not the most generous in the market, it is not the least either. A printer review it seems is never complete without a reference to its speed. The SureColor P600 is capable of printing an A4 page in just under 2 mins and an A3 print in just under 4 and a half minutes. Plugging a USB cable is going out of fashion these days. And the presence of wireless has become as mandatory as the presence of video modes on DSLRs. The Epson SureColor P600 comes with built-in wireless connectivity. It is compatible with Epson iPrint, Apple AirPrint as well as Google Cloud Print. To round up the other features of the printer, it has a 3.5″ tilting color LCD screen with touchscreen functionality, a 120 sheet paper tray and a 13″ roll holder. There is also a CD / DVD printing option. A dedicated CD / DVD tray provided with the printer. This allows you to directly print shareable CD / DVD with a print of your favorite images. This works for your favorite image collection, something that you want to back up for posterity. If you are a professional photographer you can print a selection of thumbnails of the best photos from a shoot and use that as the CD / DVD cover when handing over the work to your client. Again, this is not the lightest printer around. This one weighs 15.9 kilos and has a dimension of 24.2 x 32 x 16.7”. But if you don’t mind the weight the Epson SureColor P600 Inkjet Printer is one of the best home use photo printers around. The SureColor P400 is like a younger brother to the SureColor P600. While the P600 has 9 UltraChrome HD pigment-based inks the P400 has 8 and these are UltraChrome HG2 pigment-based inks. It uses a newer ink technology albeit while dropping one color from the arrangement. The largest print size of the P400 is 13″ x 129″. Thus you can print anything between banners to a small 4″ x 6″ print that you can stick on your cubicle wall. You can make borderless prints up to 13″ x 19. Speed is not blinding quick and we are referring to photo printing and that too 8″ x 10″ prints. It prints a 8″ x 10″print in just about a minute and 8 seconds. A borderless 13″ x 19″ print can take up to 12 mins and 40 seconds. The P400 uses a MicroPiezo AMC print head that is capable of printing a minimum droplet of 1.5 pl. the highest printing resolution being 5760 x 1440 DPI. The P400 uses the latest HG2 pigment-based inks. There are 8 ink tanks. Standard USB, Ethernet, and built-in Wi-Fi are the three connectivity options on the Epson SureColor P400. Finally, we take a look at the Canon imagePROGraf PRO-1000. This is by far the most expensive of inkjet printers we have discussed here. It is also capable of printing the largest of media (other than roll). This printer will not make sense for someone who prints an occasional large print (or even a 4″ x 6″ print). It is prohibitively expensive, heavy and unwieldy for occasional use. But makes ample sense if you print regularly, large (up to 17″) and derive a sense of gratification from being able to control the entire process of printing (and fork out the insane amount of money that this printer costs) then the Canon imagePROGraf PRO-1000 is for you. The Canon imagePROGraf PRO-1000 is capable of printing a maximum size of 17 x 22″. It can also print borderless prints up to 17″ wide. There is no option to print roll paper. The largest print size can be printed in full color in about 4 mins and 10 seconds. The Canon imagePROGraf PRO-1000 uses 12 LUCIA PRO pigment – based inks. Four out of these are Black / Grey. As already explained before, pigment based inks are by far the best when it comes to quality of output and preservation over a long period of time. The individual ink tanks on the PRO-1000 contains about 80 ml of ink. This specification is for the replacement ink tanks and not the original tanks. That should get you enough prints and a higher gap between a change of cartridge. The maximum resolution of the printer is 2400 x 1200 DPI, which is smaller than some of the other printers that we have discussed here. But then with a large print such as 17″ x 22″ you would probably not be looking at it from a distance of 12 inches. You would like to put it up on a wall and look at it from at least 5 feet. The quality of prints is outstanding. If you looking to skip visits to the local printing lab, you would probably never have to visit one again. The PRO-1000 comes with USB 2.0 port as well as an Ethernet port and a Wi-Fi connection. Setting up requires you to connect the printer to a computer via the USB 2.0 connection. Afterward, you can use any of the other connection options to print. That said, the printer does not store Wi-Fi passwords for some peculiar reasons. So, if you have two or more Wi-Fi connections, or prefer to print from your camera (as the camera supports PictBridge as well as Apple AirPrint) you will have to keep entering the Wi-Fi password every time you change connection. Do the ink tanks in these more expensive printers dry out? I’m asking because I used to have a less expensive inkjet printer and it was an okay printer but the big problem with it that I discovered was that the ink cartridges it uses would just dry out without using them. I remember I bought brand new ink cartridges, used them once, then when I went to print something a few months later I had “no ink”. Considering how expensive printer ink is, I was pretty annoyed to say the least. The original pigment-based inks by the manufacturer (Canon, Epson) don’t normally dry out. You can check the expiry date with the merchant/manufacturer, keep the printer away from direct sunlight, and you may want to occasionally delicately rub a humid paper towel across the opening of the print cartridge.